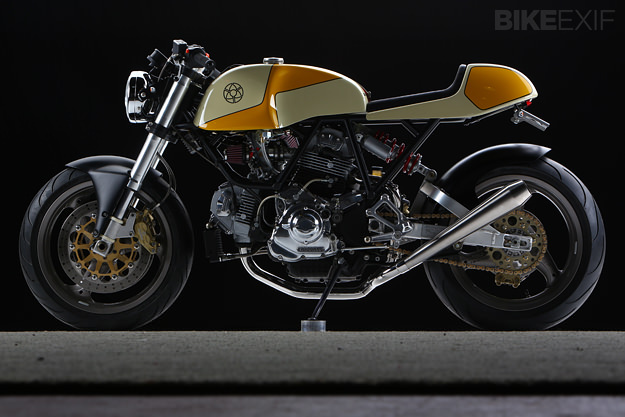 There’s a steady demand for Walt Siegl’s café racer Ducatis. And looking at these images of his latest Leggero, it’s not hard to see why: timeless lines, well-chosen components, and immaculate build quality. 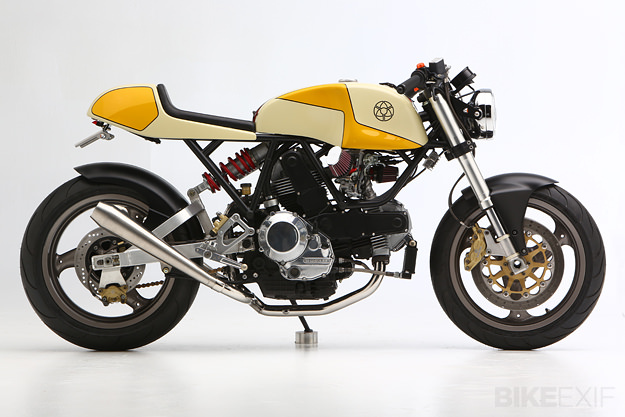 Siegl is a keen racer too, so these bikes can hold their own on the most demanding of roads. Siegl offers a range of options for his Leggero model: this machine has the mono shock, and painted rather than exposed carbon bodywork. It also features a more upright riding position than usual, to suit the style of the owner. 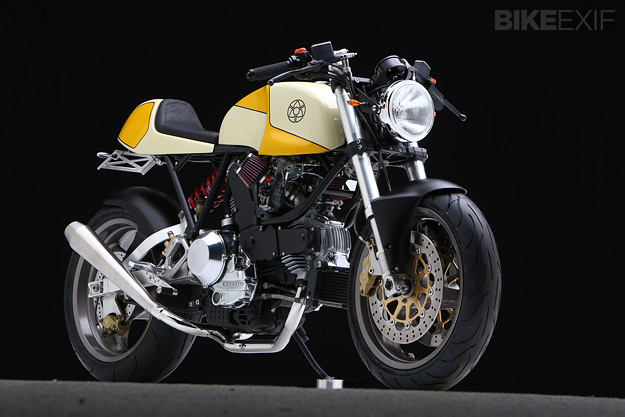 “The bike was ordered by a client who already owns three of my machines,” Walt tells us. “The donor bike was a 1995 Monster 900. The owner prefers an upright riding style, so I had the chance to install higher-than-usual clip-ons made by LSL.” As you can see, they suit the profile of the bike just as well as lower bars. Siegl’s client is a big guy, so this time the suspension is fully adjustable Showa Superbike forks. 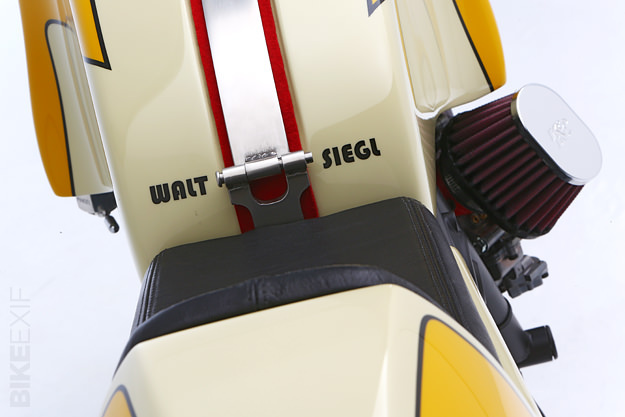 Siegl also modified the Showa monoshock with a heavier spring. The engine received a set of rebuilt Ducati 900 SS heads. “The SS heads breathe a bit better then the Monster heads,” says Siegl. “They have larger valves, more aggressive cams, and a bath-tub shaped combustion chamber instead of the hemi-style chamber of the Monster.” There’s a useful rather than dramatic improvement in performance. “Not so dramatic that I would suggest every Monster owner trashes their cylinder heads,” Siegl reports. As with all other carbureted Legerro models, Siegl built custom manifolds to use with 39mm Keihin FCRs. “I prefer to use the Keihins over other brands for their fantastic throttle response—when set up properly.” A shaved flywheel and a taller-than-stock final drive ratio allow the bike to show just the right amount of hooligan character when called for. The wheels are stock Brembos, powder coated satin black. “I stick with them because the design works well with the overall look of the Leggero, unless the client opts for something lighter,” says Siegl. The stainless headers are also stock, albeit polished, and are fitted with custom stainless reverse cone mufflers. 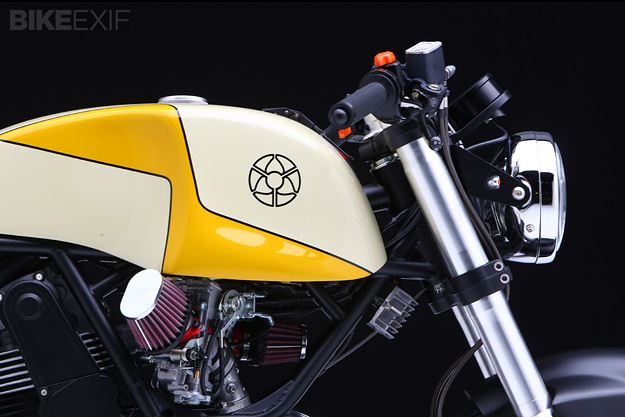 If you want to experience the magic of a true modern café racer for yourself, contact Siegl via his website. 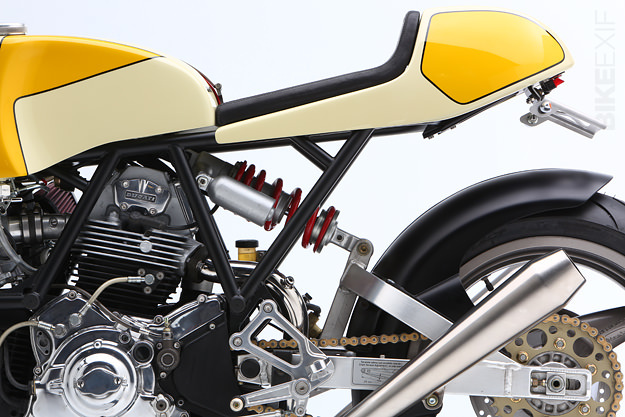 But if you can only dream, head over to our Archives for coverage of Siegl’s previous builds. Images by Dino Petrocelli. Visit the Bike EXIF Google+ for a high-resolution gallery.